One might assume that once doctors make an accurate diagnosis, determine the appropriate course of action, and effectively execute treatment, there is no longer room for medical negligence or the negative consequences that it can cause. However, this far from the reality. The potential for complications does not end after the completion of a successful procedure. In fact, if medical professionals fail to provide the proper standard of care after a surgical procedure or other treatment is complete, the results can be serious, if not fatal, for the patient. Whether the necessary postoperative care in a specific case involves continued monitoring, follow-up tests, prevention or treatment of infection, or prescribing the appropriate medication, physicians and their staff are required to administer the proper care. Failure to do so can impede a patient’s ability to recover and even cause further complications. Fortunately, the law provides victims with options. If you or someone you love suffered harm as a result of negligence or errors during postoperative care, you may have grounds for a medical malpractice claim. At Fronzuto Law Group, our firm is passionately dedicated to representing victims of medical and pediatric malpractice in New Jersey. With a narrow focus, we have accumulated an arsenal of knowledge and resources, as well as relationships with leading medical experts, which we employ every day to obtain maximum compensation for our clients. Our firm’s founder, Ernest P. Fronzuto, is Certified by the New Jersey Supreme Court as a Civil Trial Attorney, and is among the most well-respected medical malpractice advocates in the state. With his extensive litigation experience and negotiating abilities, Mr. Fronzuto leads a formidable team of medical malpractice lawyers that consistently delivers superior results. If you were the victim of postoperative medical negligence or you suspect you might have grounds for a lawsuit, contact our Passaic County offices today at 973-435-4551 to receive a cost-free consultation. After a patient is cleared to leave the hospital, he or she should be given comprehensive instructions regarding any medications prescribed, actions to prevent complications, pain management, and necessary follow-up appointments and tests. Notably, postoperative negligence can also occur when doctors prescribe, nurses administer, or pharmacies provide the wrong medication. What Complications Can Result from Postoperative Negligence? Infection: Infection is the leading result of negligence in postoperative care. Surgeries inevitably increase a patient’s risk for infection, which is why healthcare professionals must regularly monitor vital signs, blood test results, and other indicators for infection. While a patient is recovering in the hospital, infections such as pneumonia, staph infections, and cellulitis can occur, either at the surgical site or elsewhere in the body. During postoperative care, hospitals and the medical professionals who operate within them must ensure that all sanitization procedures are followed and that all environments, tools, and devices are sterile. In addition, wounds and surgical sites must be cleaned regularly, properly dressed, and bandages must be regularly changed. Blood Clots: Along with infection, blood clots are among the most common complications caused by postoperative negligence. 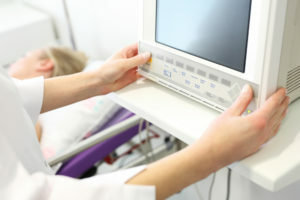 Often, surgery and medical procedures require a recovery period during which the patient is lying down. Lying in the same position for an extended period of time can significantly increase the risk of developing a blood clot in the legs, also known as deep vein thrombosis, which may lead to pulmonary embolism and possible death. Medical professionals must take a variety of measures to prevent the development of blood clots. Available measures include: compression garments, prescription drugs, and/or mild exercises to promote mobility and facilitate blood flow. As mentioned, these are only two common examples of complications caused by postoperative medical negligence. There are a variety of others which may result in harm to the patient, or in the most tragic of cases, wrongful death. At Fronzuto Law Group, our clients always come first. Attuned to your needs and available to answer any questions that may arise during the legal process, we are your diligent supporters and unwavering advocates from day one. To discuss your potential postoperative negligence claim, or another medical malpractice issue, contact us today at 973-435-4551 for a free initial consultation.